Abhishek Tripathi, associate director and business head at PayU Payments Pvt. 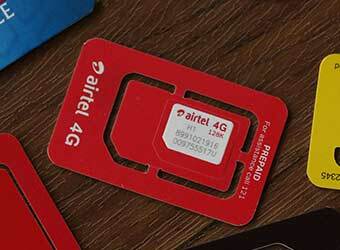 Ltd, has decided to quit the company to join Bharti Airtel Ltd. He will be leading the small and medium business at Airtel Payments Bank. "I have joined Airtel Payments Bank to lead the SMB/SME solutions," Tripathi confirmed the development to TechCircle. "I will be responsible to formulate product and strategies for the small and medium business at the payments bank." In his new role, he will be directly reporting to the Airtel Payments Bank CEO Shashi Arora. On his more than three years journey at Naspers-owned digital payments company PayU, Tripathi in a blog post on LinkedIn wrote, "I joined the company as the first employee to start the business of PayUMoney (then PayUPaisa) and built the business from scratch and hired 99% of the PayU SMB team (~250). It's been quite the journey, and I owe a lot to PayU India, Naspers and the team." According to Tripathi, his experience of building PayUmoney and scaling it makes him confident about the SMB space in India. "Looking forward at the changing paradigm of payments bank would work for SMBs," he added. The development comes just a month after the merger of PayU, run by PayU Payments Private Limited and Citrus Pay that witnessed management restructuring. As part of the merger, PayU co-founder and CEO Nitin Gupta had decided to leave the firm. Citrus Pay MD Amrish Rau took over as the CEO of the merged entity and its founder Jitendra Gupta joined as MD of the company. However, Tripathi said that his decision to leave PayU has "nothing to do with any changes at PayU, rather my personal choice to make actions at Payments Bank which is going to be the next big thing in fintech." Airtel M-Commerce Services is one of the 11 entities to which the Reserve Bank of India (RBI) had granted an in-principle nod to offer payment banking services. "I strongly feel Airtel is best poised to innovate and create history in the payments bank space." Airtel Payments Bank (formerly known as Airtel M Commerce Services Ltd) is one of the 11 entities to which the Reserve Bank of India (RBI) had granted an in-principle nod to offer payment banking services. It has presence in more than 800 towns across India and is looking to start rolling out its banking network in the second quarter of the current financial year.